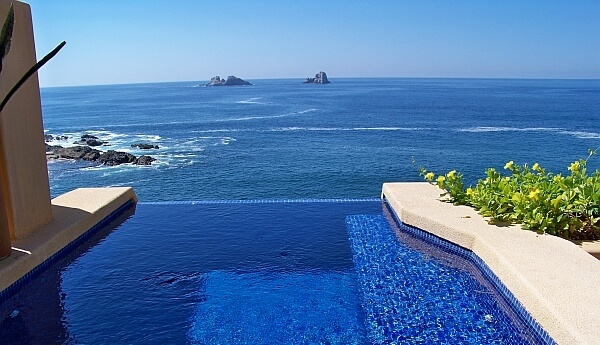 We start with a photo of a hotel view from a beautiful place, taking you onto the balcony of Capella Ixtapa Resort. Where will we go from here? Want to come along for the ride? There was a time, in the launch of every website you know and love, when nobody knew about it except the people who worked there. Somebody posted something and the only people who read it were the ones in the office. Our office is virtual, but we’re in the same boat. Be assured though that a group of talented, experienced travel writers are on board to bring you detailed reviews, insightful insights, and, well, the inside scoop on notable hotels, resorts, and other lodging options around the world. We’ll give you the first-person lowdown on new resorts, opinionated views on the best places to stay in various cities, and a look at where you’ll get the best bang for your buck. Four or five years from now when you’ve just landed here and want to look back on post #1, here it is. I hope you’ll find that we’ve delivered on our promise. Can you email the article to me, please.